Ukraine: What is Happening Over There. For the betterment of those who have not been made aware of the events unfolding overseas in Ukraine, or who have just been too busy to keep up-to-date on world events, or for those who haven’t looked at a TV, computer, smartphone, or newspaper a long while….it’s your lucky day! Read on for your quick read on what is happening over there. 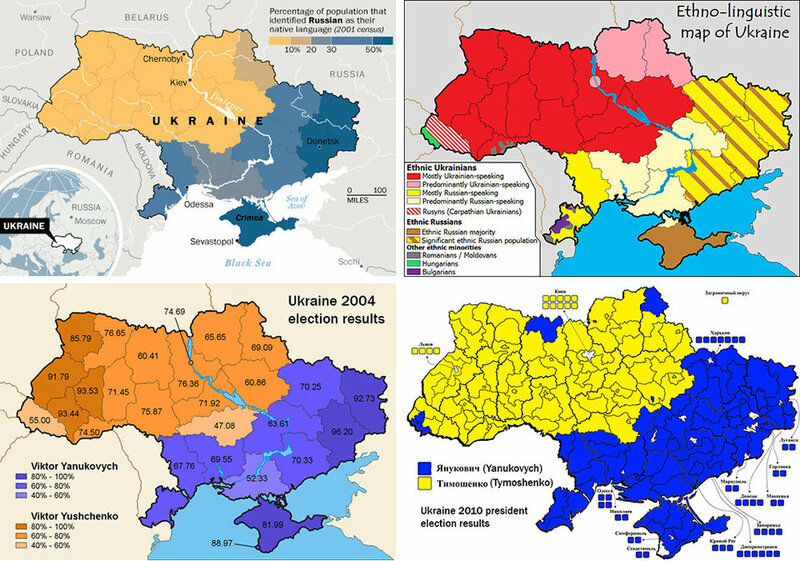 A very brief summary of why there is tension with Ukraine and Russia: Ukraine and Russia have a very close history together coated in tension, claims over land, identity issues, and cultural hijacking. Ukrainian President Yanukovych rejected an expected deal for greater economic integration with the European Union. This deal was pretty popular with the Ukrainians in the Kiev part of the country, but Ukraine is fairly split between Ukrainian speaking Ukrainians and Russian speaking Ukrainians. The rejection of the deal symbolically tips its hat to Russia, as Russia has it’s own counter offer for Ukraine. This is where the History comes into play. 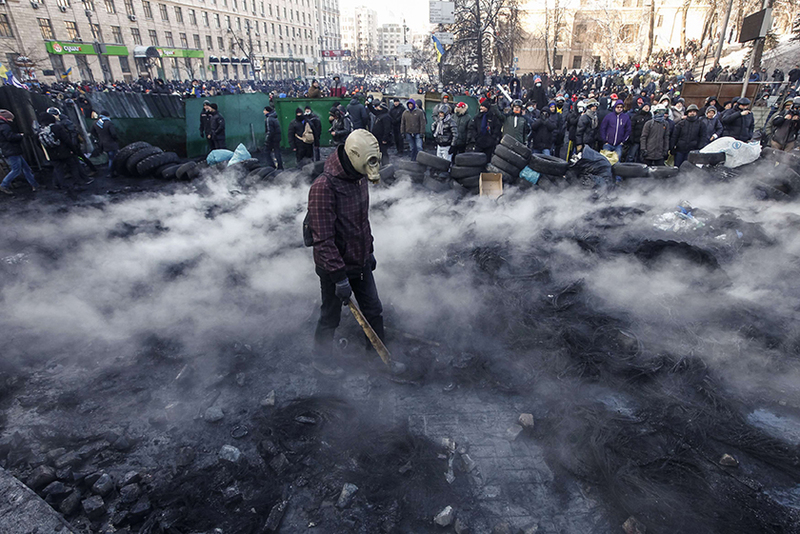 Russia has a LONG history of subjugating and ruling Ukraine that spans many generations. So, you can see why some would not be too happy with the idea of this deal. Additionally, Ukrainians just have a fundamental problem with President Yanukovych. The hatred stems back to 2004 when they protested him right out of office, but he came back in 2010. Since then, his government has been saturated with corruption and mismanagement of the economy. We all know what that’s like, am I right Chicago! The reason the protests had surged so dramatically against this deal since January 16th, is because Yanukovych mucked it up by signing an anti-protest bill. So, what happens when Ukrainians who don’t like the rule of Yanukovych, are told by Yanukovych that they can no longer protest under threat of arrest? Riots, violence, organisation, and…….more protests of course. This is the reason behind the increased media frenzy around the issue of the deal. When I said that Ukraine was split on the issue, it’s not hard to imagine. 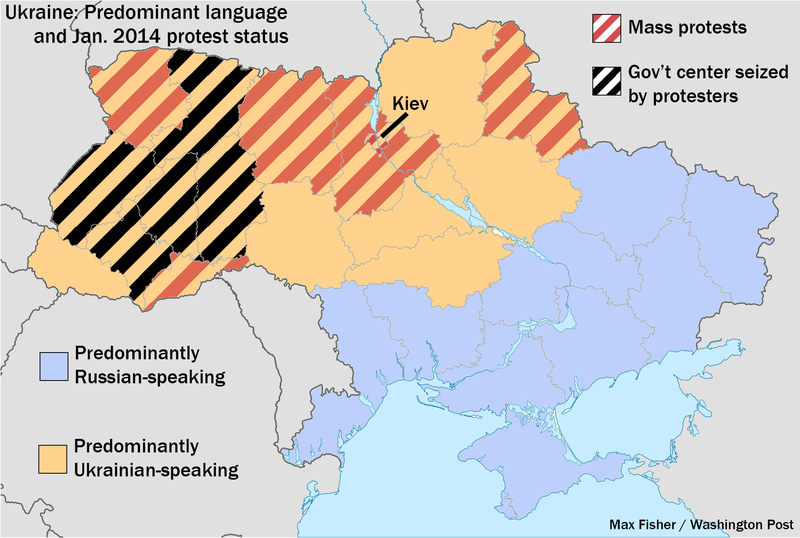 Ukraine has a deep history of division in language, culture, and politics. 1/3 of the country speaks Russian, associate themselves more with Russia than Ukraine, and live in one half of the country. This division gives Ukraine a disconnect over the vision for where the country should go. 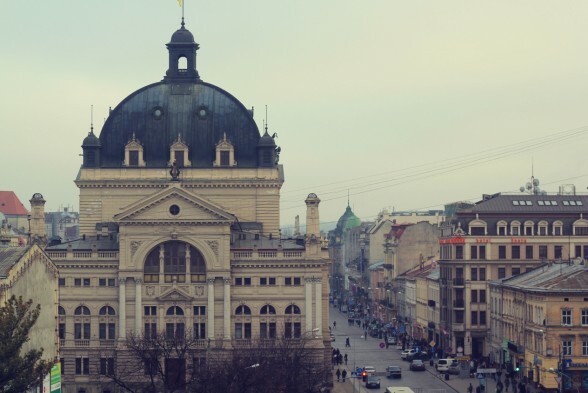 Ukraine only gained its independence from the USSR in 1991, after refusing to put up with their rules anymore. Here is another really good graphic displaying how incredibly fractured the country is culturally. As with all things, this cultural confusion began very long ago. The first Russian influence came 250 years ago with Catherine the Great. Then of course there was Joseph Stalin in 1930, who “collected” Ukranians to run state farms where millions died of starvation. It was a genocide. Heavy stuff, I know. we’re almost through. So underlying all of this, Russian President Vladimir Putin desperately wants Ukraine to join the Moscow-led Eurasian Customs Union INSTEAD of the European Union. To insure this, Putin is offering Ukraine literally billions plus 33% off Russian gas to reject the EU. This got Ukrainian President Yanukovych interested, thus the outrage when Yanukovych went in Russias direction. It was just another example of Ukraine bowing down to wise, all knowing, powerful Mother Russia….And Ukrainians were not going have it. Not at all. This was the last straw, and they went to the streets. It’s at this point that we get radicals vandalising, tipping cars, starting fires, and revolting against the police. 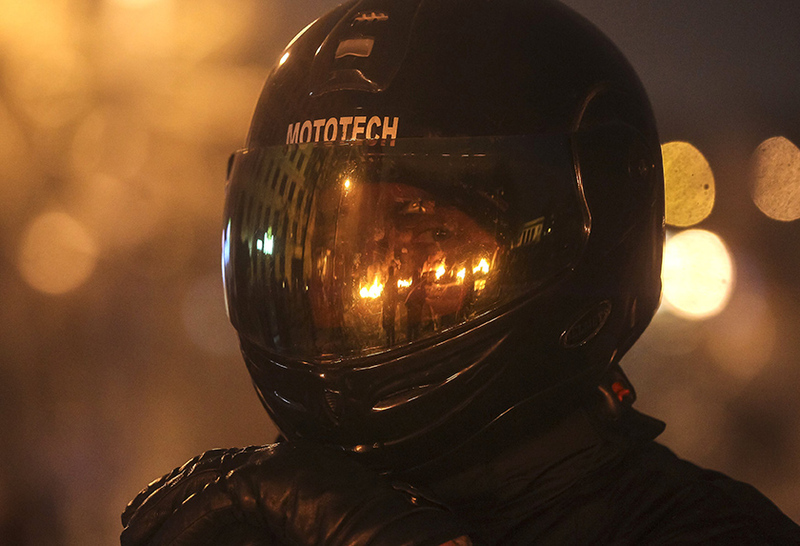 Protesters even started branching beyond Kiev and breaking into other government buildings, essentially taking them over. 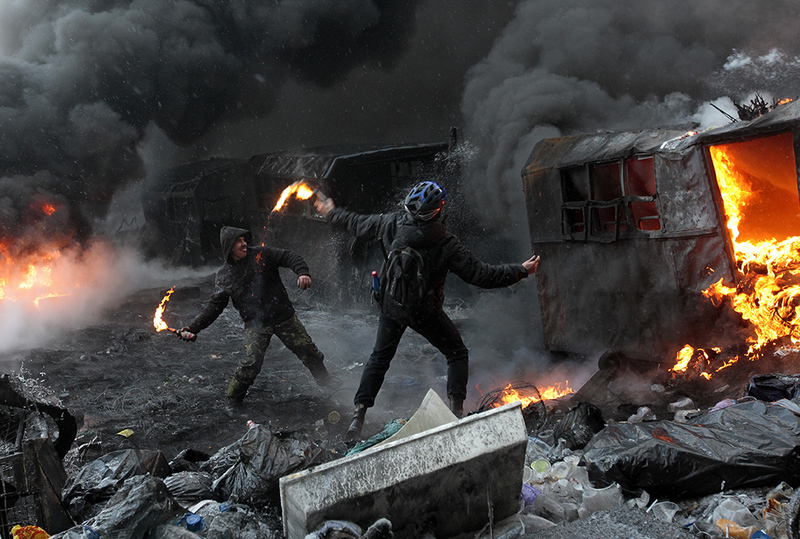 Ukraine starts looking less like a city, and more of an apocalyptic war zone. Obviously with any conflict, there are Ukrainians on both sides of the fence who think that this kind of action is not the right path for Ukraine. 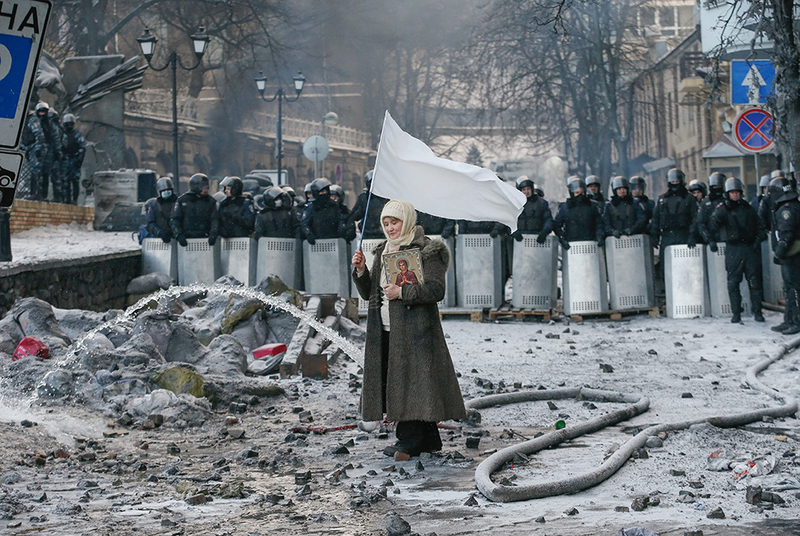 If any country was going to be split on how they should act as a response, it’s Ukraine. Still, this seems to be something that makes sense to the protesters. THIS is what we can unify under, and they have gotten our attention. Once I was made embarrassed by how little I actually knew about what was going on in Ukraine, I did my research for this article and became swept up in the story behind it all. Ukraine has such a rich and yet disheartening past. 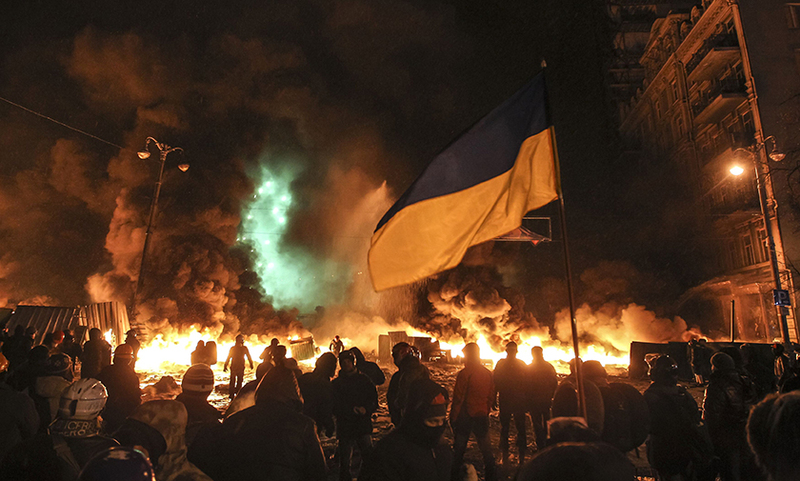 The Ukrainian people have endured being ruled by oppressive governments, war, slavery, genocide, corruption, and not to forget, massive nuclear fallout in 1986. 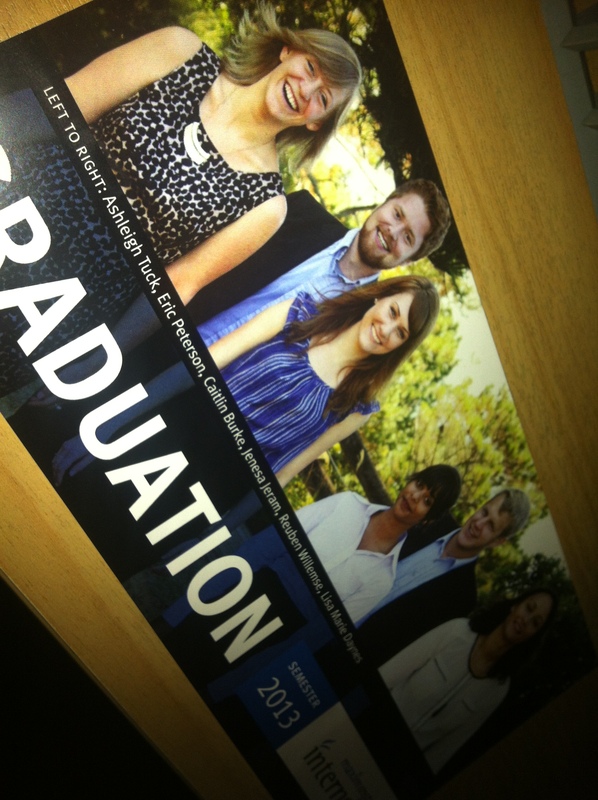 These people are tough, hardened, and incredibly resilient. They persevered, they held on, and they are saying: “Enough is enough”…just like they did in 1991. I am encouraged by their resolve, and yet I can’t help but side with the those standing back and saying, “This is hellish. Can there be no other way? Why has it come to this?” I encourage you to make yourself likewise aware of what is going on over there. It’s always a good idea to pop the bubble you’re living in and actually realize what is happening when life around you continues on in normal fashion. If you like the photos I have used in this post, click on the link labeled, “Pictures” below to find more truly incredible and raw footage of the events unfolding. On the other side of the world, today, February 6th, is Waitangi Day….and Bob Marley’s Birthday. Article 1: The Chiefs, and other signatories gave all their sovereign powers to the British Crown. Article 1 according to Maori: The Chiefs conferred on the Crown the right for the British to govern the colony, in a mainly administrative capacity. So you can see how the treaty has caused controversy with the different interpretations of the treaty. This can happen when trying to translate words into Maori that don’t exist. It is still to this day discussed in length. Article 2: The Chiefs were granted, in return for their cession of sovereignty, full rights of ownership of their land and other assets. The second part of this article deals with the idea of preemption. 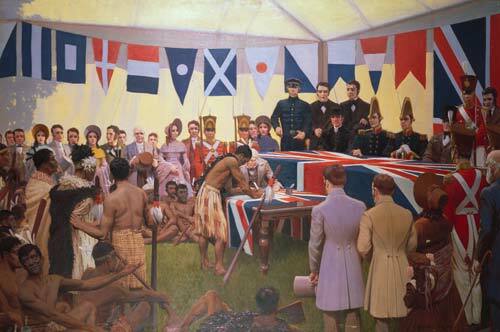 This involved the Crown having the first option to purchase Maori land at a mutually agreeable price. Article 2 according to Maori: The Chiefs were guaranteed their rights of chieftainship (tinorangatiratanga) – effectively a sovereign right. Moreover the chiefs were promised their physical possessions and also, all those things that they held precious. The second part of this article closely resembles the English version in the guarantee of preemption. Article 3: Maori were granted the same rights as British subjects, but were not actually made British subjects. Article 3 according to Maori: Maori were offered the protection of the Crown, and the same rights as the English people. The Treaty of Waitangi is a HEAVILY debated topic in NZ politics, as our U.S. Constitution would be. Still, I have to say that the defining difference between how we treated the First World people of North America and how the British treated the Native people of NZ, is this treaty. I don’t really remember America caring too much about the rights of the First World people or how much land they had. Manifest Destiny all up in this. Trail of Tears much? “You can have Oklahoma. Yeah, you can have that state…or part of it at least. Okay, actually, you can have a camp on it. Oh, and most of you will die walking all the way there.” I also see a culture ingrained in this country that is dripping with history, traditions, and custom. It’s a beautiful thing when the language, food, and dance are preserved out of an importance and recognition of respect. It’s about preserving a people’s inheritance and way of life, and it is incredibly humbling to see how well they do it compared to U.S.A. I am proud to be living in a country that, to certain extents, has lived with intention regarding the people that first lived here. I know that I am speaking in broad generalizations and am not covering all the injustices done to the Maori people. I am sorry if this offended you. If you want to know more about Waitangi Day and the Treaty, go to these links below.